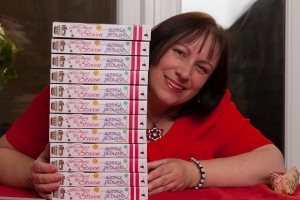 This week I am delighted to welcome Jessica Redland to my blog to share the writing tips that work for her. Jessica is the author of Searching For Steven, which is one of the best books of 2015, and she throws a jolly good online party. She lives on the stunning North Yorkshire Coast with her husband, daughter, and Felix the cat. By day, she's a recruitment consultant and by night, she's a Brown Owl and a writer. Working full-time means she doesn't get to write nearly as often as she'd like, but her dream is to be able to write full-time one day. 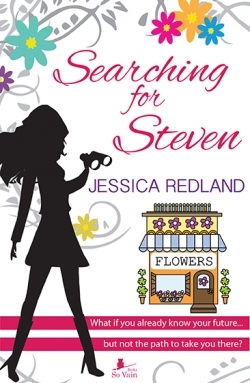 Her debut novel, Searching For Steven, was released by So Vain Books in June 2015. The follow-up, Getting Over Gary, is out on March 3rd 2016 with the final book in the trilogy out in Summer 2016. 1. Don't get rid of any writing, because you never know when you might need it. Each time I start a fresh edit (ie from the beginning of the book), I give it a new number, so that if I decide I've over-edited something or don't like what I've done to it, the old version is still there. If I remove a whole chapter, I put it in a new file and call it "Removed - Kate's bad date with John," so that I can reincarnate it later... or use it in a different book. 2. Don't get obsessed with Amazon positions or reviews. It's great to know how you're doing in the charts, but your book can fluctuate massively from one day to the next. Don't worry if it suddenly drops 80,000 places, because it might rise 85,000 the next day! As for reviews, read and enjoy the good ones and learn from the bad ones if they're written constructively. If they aren't, ignore them! Mind you, that's probably easier said than done. At the time of writing, I haven't had less than a 4-star review and I'm sure my first 1- or 2-star will have me sobbing bucket-loads, but I will remind myself that it's just one person's opinion and there's a stack of other people who loved it! Writing can be hard, it can be lonely and it can be scary. Remember why you started writing in the first place. Could you imagine not doing it? Then forget about all the scary stuff like rejections (if you're looking for an agent or publisher) or bad reviews and just enjoy the absolute pleasure of developing characters, settings and incredible stories. Thank you for your comments, Jen. It's always a pleasure to hear from you. I'm glad you have found a home in another book for your unused scene. It's always a good idea to keep unused pieces instead of hitting the delete button. "Don't get rid of anything." Brilliant advice, Jessica. I'm reusing one scene from a book that will otherwise never see the light of day in a new, contracted book. Yes, the characters and setting are different but the scene premise is solid and fits the new context beautifully. And to echo Jessica's point #3, enjoy the process (and the journey) and happy writing to all. Thank you, Louise, Jan and Wendy, for your comments. I must admit, Louise, the question you asked has occurred to me as well, especially with the second and third books in the trilogy both being published next year. Jan and Wendy, I agree with you that Jessica's Rule 3 is the most important one. Enjoyment is the most important thing. 'Enjoy your writing' - that has to be the best tip of all in my book, otherwise what would be the point in it all. Thank you Jessica and Susanna. I enjoyed reading your writing rules, Jessica. I agree with Rule 1 and do the same. By keeping the original you can see what you've edited and I like the idea of reincarnating it elsewhere, too. Your last point is so true. I love the positive vibes about enjoying your writing and not obsessing about the rejections. A great series, Susanna! I just wanted to say how much I enjoyed "Searching for Steven" and that I am looking forward to the others of the series. 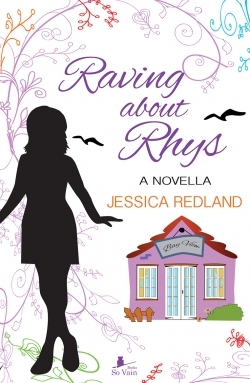 I have a question for Jessica - if your commitments mean you don't have as much writing time as you'd like, how long did it take you to write the three books - plus "Raving about Rhys," of course. If the second and third books are being released next year, you must have started your writing some time ago! You're most welcome, Jessica. This is proving to be such an interesting series. Some of the "rules" come up again and again, but every writer has also had something different and original to say.